When it comes to buying a car, there is a lot of information you need to get before you make a final decision about what to buy. 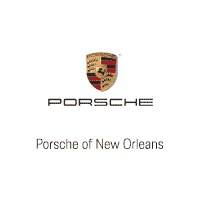 Therefore, there are some essential questions you need to ask your Marrero, LA, Porsche coupe dealer when you are shopping for a ride. These questions will ensure that you get the answers you need to make the best possible purchasing decision. Take a look at these questions, and make sure to write them down, so you remember to ask your car dealer when you’re finally ready to start shopping. Do You Have Any Special Offers Going on? You shouldn’t necessarily plan your car purchase around when special offers are happening, but it doesn’t hurt to ask if there are any sales going on when you decide to buy. If there aren’t, it’s not a big deal, and you can continue shopping like you would do otherwise. However, if there is a special offer happening, you may be able to save some money on your Porsche coupe purchase. And who doesn’t want to save money whenever possible? Can I Get an Auto Loan at the Dealership? Buying a car can be stressful, and the last thing you want to do is have to drive all over town to find the best place to secure financing. Therefore, you should ask if your Marrero, LA, dealership offers auto loans to their customers. When you get a loan from your dealership, you will probably get a better rate. On top of that, you’ll also get to save a lot of time, which is valuable in and of itself. Does This Dealership Have an On-Site Service Center? After you buy a Porsche coupe, you are going to have to find a mechanic that specializes in these types of vehicles. But if you buy from a dealership that has an on-site service center, you won’t have to worry about that. Instead, you can just go back to the dealership and get all the help with maintenance you need. This also saves you time and can make you feel confident in the services you receive. Be sure to ask your Porsche coupe dealer all of these questions, and you will be well on your way to the ideal ride in no time. Come to Ray Brandt Porsche today to speak with a sales representative.